It is a bit of cliché to say that every vintage is unique. While the saying is old, it remains true, especially for 2016 Bordeaux. Simply put, the first part of the growing season experienced one of the wettest, cooler periods in history, until the summer was in full bloom. By the middle of June, 2016, according to several growers, the vintage looked like a disaster in the making. Even the vineyards with good drainage were just too wet. The flowering was late, but it was under good conditions. But by that point, everyone knew the entire vintage was also going to be late, which can often spell trouble. But by the end of June, everything turned around and Bordeaux experienced one of the driest second acts in history with plenty of warmth, sun, very dry conditions and cool to cold nights. The extremely dry conditions continued. Many vineyards were becoming stressed. Young vines faced the most problems. The growers with old vines were not worried as their vines were able to find the moisture needed. That’s the short version. For those that like more detail, there’s a lot to know to understand the 2016 Bordeaux vintage. The season started off with rain. No, make that a lot of rain. Wet is an understatement. You had rain. In fact, you had record setting amounts of rain through most of June. We’re talking 600-700 mm of water! Vintners reported seeing an ark and some guy named Noah sail by. By the time June was past the halfway mark, everything started to change. Sun, warmth, light and breezes were exactly what the doctor ordered. What was once looking like a washout was starting to show real promise. As the season progressed, estates were experiencing the complete opposite of what took place at the start of the season. Torrential rains were replaced by drought. At best, growers experienced a tiny bit of moisture in July and August. 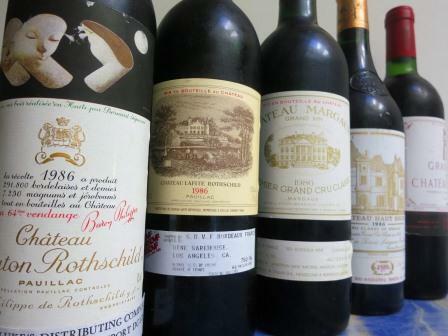 The heat and continued lack of moisture reduced the levels of acidity, and freshness that is cherished in Bordeaux, especially with the white Bordeaux wines. When you look at what took place, it is important to note that vineyards with the ability to remove excess water were fortunate during the first half of the 2016 Bordeaux growing season. Vineyards that were able to retain the desperately needed moisture were in great shape for the much needed, second act of the growing season! This means that the clay and limestone soils in the Right Bank will produce the best wine and the gravel hills in the Medoc is where you are going to find the gems of the 2016 Bordeaux vintage being produced. By September, however, vines were suffering from the lack of moisture in some vineyards and were in danger of stopping their growth cycle, to preserve their energy. Before things began looking dire, the middle of September delivered 40 mm of rain on September 13 and September 14, which was perfect for the Merlot. At the end of the month, September 30 and October 1, more rain fell which was exactly what the Cabernet Sauvignon needed and the vintage was close to being made. The conditions during the harvest, allowed growers to take their time, even though the year was slightly later than ideal. At this point in time, chateau owners were becoming convinced they had a perfect hat trick on their hands with 2014, 2015 now 2016 vintages. Producers in Pessac Leognan and other regions started bringing in their white, Bordeaux grapes starting September 1, although many of the better estates waited until close to the middle of the month. 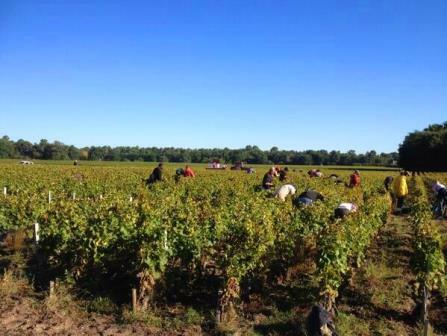 Late September saw several top Pomerol estates busy, picking their grapes. Growers began picking their red wine grapes in the Medoc by October. Depending on the terroir and vine age, several produces did not begin harvesting in earnest their Cabernet Sauvignon until October 10. Picking is always a stressful time, as harvest time is closely related to a one armed paper hanger going at full speed. Plus, picking really is the initial sorting for a vintage. 2016 required more effort during the harvest than usual. This was needed to separate the overly mature fruit, and the grapes suffering from the drought like conditions during the late summer, from the ripe, fresh grapes. 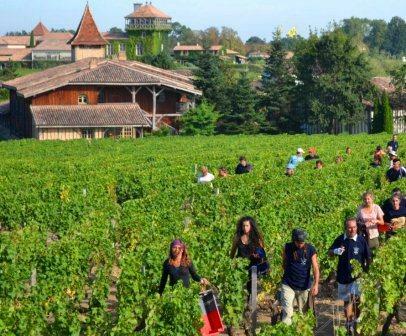 Thee harvest for come growers continued until late October and even into November for some of the later, cooler terroirs in St. Emilion. Another aspect of the vintage will be the extended time for picking, as conditions remained good, allowing growers to take their time, while the fruit enjoyed thee extended hang time. The growing season gives you a good idea about the possible character and style of the wine. 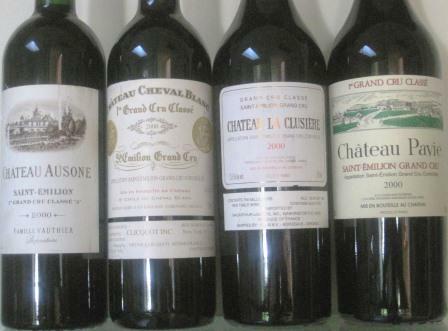 But while that is all about potential, there is no substitute for tasting the wine, which takes place very April.